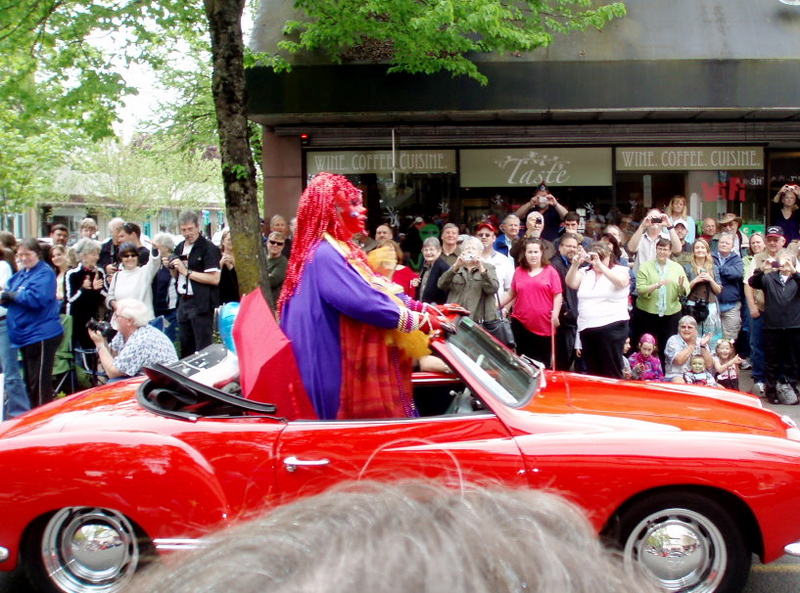 Every year there is a UFO festival in McMinnville, Oregon. 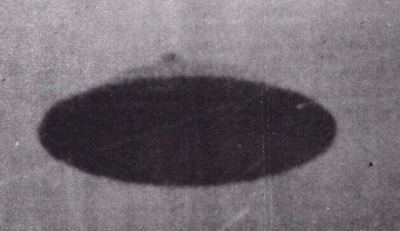 McMinnville is the site of one of the only as yet non-debunked UFO photos (which makes it “bunked”?) 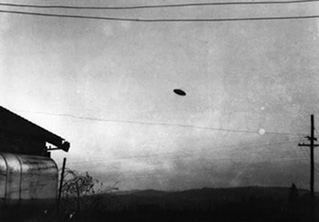 taken by farmers Paul & Evelyn Trent in 1950, as well as being considered a cross-center for psychic activity… or something. So this year M and I went because, well, how do you not check something like that out? For some people, the UFO festival is a chance to be ridiculous – i.e. : guy with crewman’s costume from the movie Alien, but with an Elmo doll bursting out of his chest. What? If you're queen, and you want a space-convertible, you get a space-convertible. costuming, it’s a pretty clear consensus. Although, it’s worth noting, the King and Queen of the festival were silver and red, respectively. Must be a class thing. I feel very strongly about Boba Fett. Very. Strongly. Watching the ‘kids’ portion of the film festival can pendulum swing wildly from “what creative little darlings” to “oh, come on, I know you’re 11, but put a little effort in” pretty quickly. Was it really necessary for the costume ball to make ‘best costume contest’ candidates dance in front of everyone? Apparently so. Is it just me, or is Stephen Hawking getting grumpy? Everything’s a downer with him lately. We shouldn’t look for extra-terrestrial life because if they find us they’ll come wipe us out or enslave us for our resources? What a crank. 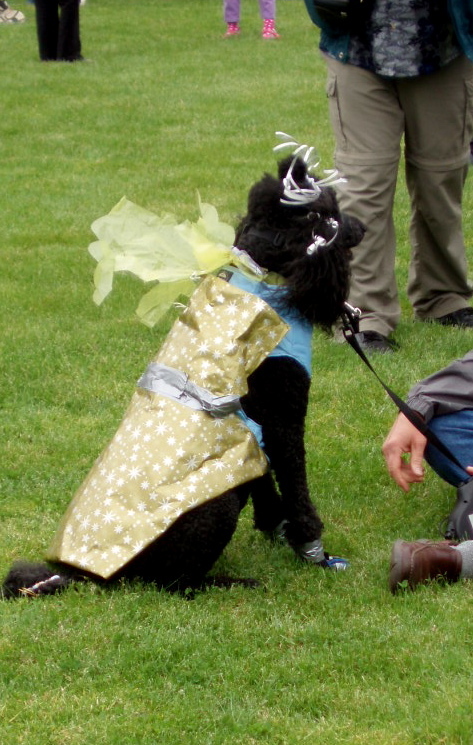 Dogs to owners: You want to dress me as an alien? Fine. I love you very much and want you to be happy. But it’s going to go better for both of us the less crap you stick on my head. That being said, dogs dressed as aliens = awesome. One guy yelling on the corner about a magnificent power that burst into his world and changed everything. Turns out it was Jesus. Buzzkill. Aliens, if you’re reading this: hello. Please don’t assume from that UFO festival that we are implying that you are all misshapen, drunken loons. We’re not mocking you, and would love to get together. And it was Stephen Hawking who said all those mean things about you. I’m sure you can look him up. But if you are here for our resources, jokes on you – we’ve pretty much depleted or poisoned those, so ha. Prove it isn't! Can't, can you? Didn't think so! ← Won’t Someone Please Think of the Super-Rich Schlock-Vendors For Once? Yes, but she probably tries to deport them all. Steven Hawking — I think his publicist is trying to get him on Celebrity Apprentice. Or maybe our little man just needs a hug. Now he’s said that concepts of an afterlife are “A fairy tale.” I think he’s planning a press conference to let everyone know that their childhood pets did not really go to a farm up north. A few years ago I was feeling pretty low so rather than indulge my depression in ice cream, I attended a Star Trek convention. Some guy dressed up like something said to me, “You’ve raised the bar of attractive women at these events.” How sad. How very sad. But truthfully I walked out of that swampy dark basement with my head held high because I really was the most attractive (and only human) at that event. I’m just going to ignore that most of the attendees hadn’t seem daylight in 10 years or walked further than the path leading from the their computer to the fridge. I went home feeling like a million bucks. I love Star Wars and Star Trek peeps! That’s a great idea for some quick self-esteem boosting. I suppose if you made a habit of it, though, you’d starting thinking you were some sort of deity, so it probably should be undertaken with caution.